Official module to connect Prestashop with Quipu. 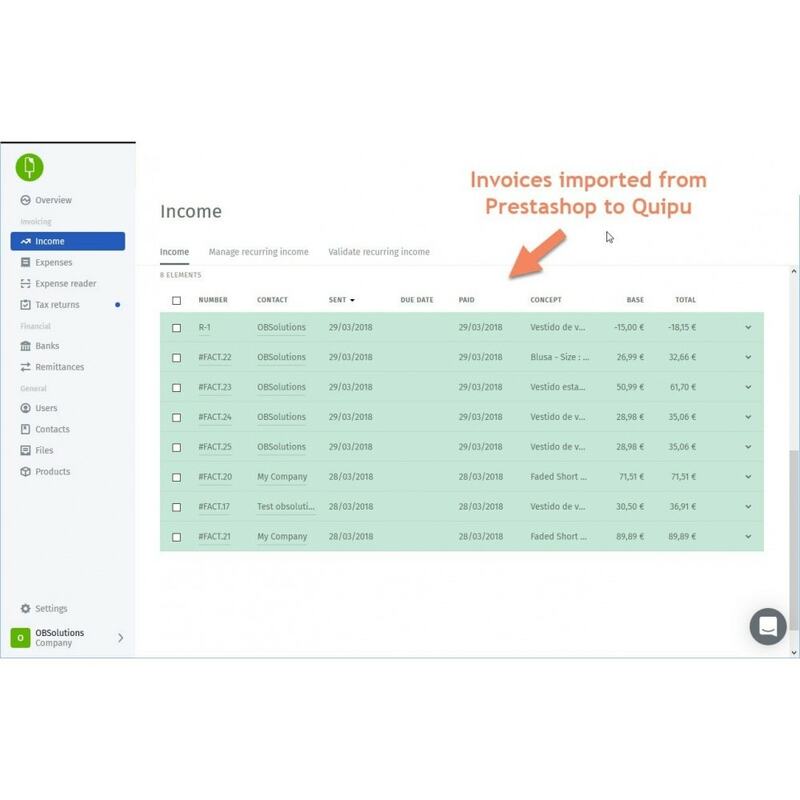 This module allows you to send all the invoices data generated by your customers in your Prestashop store to your Quipu invoicing platform, saving you a lot of time. With the purchase of this addon you get a discount coupon of 25% during the first 6 months in Quipu! Warning: Requires a Quipu account to connect both platforms. (15 days free trial). The module includes a comprehensive manual to configure it and your Quipu account.